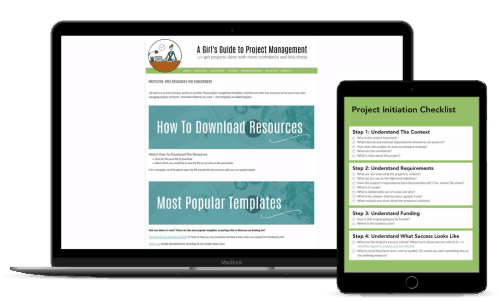 GirlsGuideToPM.com provides practical solutions and easy-to-use templates to help you manage your projects more successfully. As well as that (and maybe more importantly) we are a community trying to get work done in the real world, not the ideal situations that the textbooks describe. If you juggle multiple projects, competing priorities and want less stress at work, you’re in the right place! 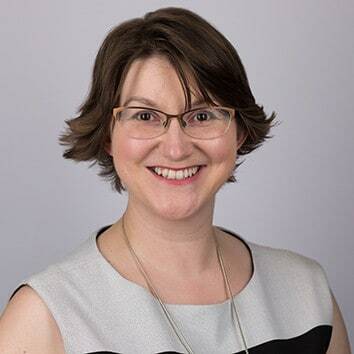 My name’s Elizabeth Harrin and I have so much to share with you. I started blogging about project management in 2006, the year that I wrote my first book. Aside from writing about projects, I do the work too: I’m a normal project manager with a job just like you. I like to think that gives me insights into what works in real life because I have tried and tested A LOT of things. You can read more about me and my project management career here. I’ve written a number of books since that first one, and you can see them all on this page. The easiest way to stay up-to-date is to join thousands of other project managers and get my newsletter. It’s a mix of practical guidance, highlights from the blog and the odd giveaway and freebie too. Enter your email to get a fantastic guide on how to manage when your project is less than textbook. I'd like to receive the Rebel Project Manager's Toolkit. You can also hang out in Project Management Cafe, our Facebook group. We have monthly #themeweeks (sometimes with guest experts) and I do a weekly Facebook Live Q&A session to answer the things that matter to you. Mostly we just help each other out and try to get our jobs done. GirlsGuideToPM.com has been on the web for over 10 years and in that time I’ve written and curated over 1000 articles on all kinds of topics from Agile to professional networking. Project management is vast subject area and if it’s your first time here (or if you are new to managing projects) I get that it’s hard to know where to start. I recommend that you get a cup of tea and then start at the beginning — Only joking! Get free project management templates inside my resource library. And don’t forget to check out my free template library. (If you’re looking for something a bit more all-in-one, done-for-you for project set up, then my Project Workbook & Budget Tracker is what you need). If you can’t find what you are looking for, drop me a quick note on Twitter or use the contact form to get in touch. I do my best to respond to every comment and email; I look forward to hearing from you!